When I first arrived in Hamburg, I was struggling to find decent vintage clothes stores at affordable prices. The second hand stores in the touristy areas are a bit too expensive for my budget, and often have limited offerings. I was in vintage-despair… until I stumbled across Kleidermarkt. As soon as I walked through the doors and the sweet musty smell of recycled clothes reached my nostrils I began laughing to myself and without realising it, I did a little dance right there in the entrance of the store. I had died and gone to some sort of retro heaven. Kleidermarkt is HUGE. Like really, really big (1500 square meters to be exact). 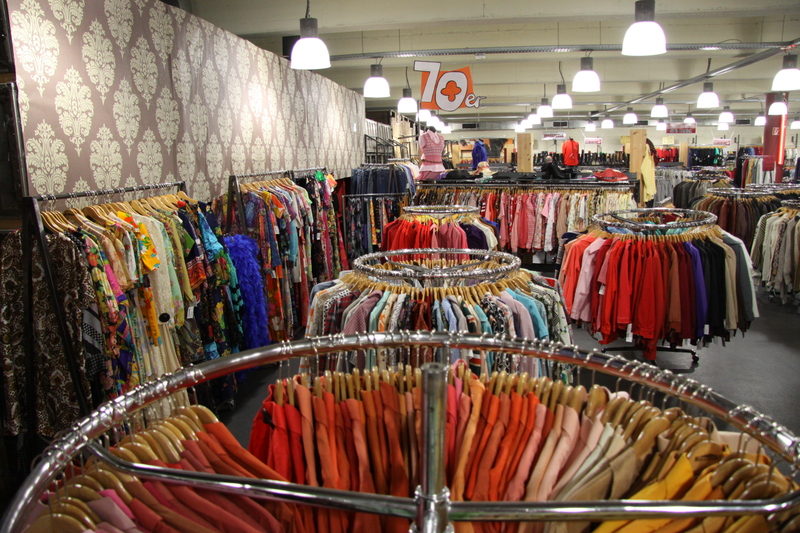 The big warehouse-esque space is jammed pack with the most exciting array of clothing from the past 6 decades in every colour, cut, texture and style you could ever dream of. And it won’t cost you a months pay cheque to look like a 1970s super model either. At the back of the store is the sale section… Dresses for €5, Skirts for €3 and T-Shirts for €2. On Wednesday’s as well, from 11am – 4pm you can get 30% off all full priced items. You will need to travel away from the busy tourist areas to find Kleidermarkt, but if you’re after beautiful and affordable clothes, it’s definitely worth it. You can find the store at Max-Brauer-Allee 174, 22765 Hamburg.